The Palmetto State has a proud tradition of leadership in international affairs. South Carolina has produced such statesmen as James F Byrnes, who was Secretary of State under President Harry S Truman, and John West, former Ambassador to Saudi Arabia. Furthermore, South Carolina is emerging as a leader in the global economy. Multinational corporations such as BMW, Michelin, and Honda have begun manufacturing in South Carolina, while locally headquartered companies such as Fluor Daniel and Sonoco Products have risen to international prominence. Likewise, South Carolina's institutions of higher education reflect an openness to international perspectives. South Carolina's 33 public institutions and 27 private colleges are home to nearly 179,000 students. The state school system consists of three research universities, nine comprehensive teaching universities, five two-year colleges affiliated with the University of South Carolina, and sixteen technical schools offering vocational training. Geographically, South Carolina is divided into three distinct geographic areas. The Lowcountry encompasses the coastal area of the state, while the Upstate consists of the foothills of the Blue Ridge Mountains. The Midlands of South Carolina marks a transition between the other two regions. Each region of the state has a separate identity, which is best captured by visiting the three major metropolitan areas of the state - Charleston, Greenville, and Columbia. Charleston, in the Lowcountry, has a long history of welcoming international visitors. Founded in 1670, Charleston is the oldest city in the state. Charleston's reputation for religious tolerance led to a proliferation of churches that mark the city's skyline, earning Charleston the nickname of the 'Holy City'. During the late 17th century, thousands of French Huguenot refugees settled in Charleston, and their presence influenced both the architecture and culture of the city. In 1861, the Civil War began when Confederate troops fired on the Federal garrison at Fort Sumter, in Charleston Harbor. Today, Charleston boasts the fourth largest container port in the United States, connecting the Holy City with more than 140 countries around the world. Culturally, Charleston is home to the Spoleto USA Festival, an annual performing arts festival held jointly with the city of Spoleto, Italy. Every year, the Spoleto Festival attracts artists, musicians and dancers from around the world. Charleston is home to several institutions of higher learning, including the College of Charleston, Charleston Southern University, the Medical University of South Carolina, and the Citadel, South Carolina's state-supported military college. International students have made contributions at all these schools. Petra Lovetinska, one of the first female cadets admitted to the Citadel, is a native of the Czech Republic. The Lowcountry is also home to South Carolina's wonderful beaches. Myrtle Beach in Horry County, lies at the centre of a 60-mile stretch of beach know as the Grand Strand. With its sunny beaches, world-class golf and diverse live entertainment, Myrtle Beach is fast becoming an international tourist destination. Every March, more than 100,000 Canadians flock to Myrtle Beach for the annual "Can-Am Days" festival, which coincides with Spring Break in the Canadian school system. Even bigger is the annual Sun Fun Festival, which draws 300,000 visitors every June. Myrtle Beach's agreeable climate (with more than 200 days of sunshine each year) made it a favourite place for students to visit for rest, relaxation and recreation. For those who wish to study at the beach, Coastal Carolina University offers a variety of four-year degree programs. Coastal has a unique co-operative program in Golf Management, which combines academic study with hands-on experience at the area's 100 golf facilities. Students who complete the program will earn a degree in marketing and credit towards membership in the Professional Golfers' Association of America (PGA). Beginning in the fall of 2000, students from Barcelona, Spain, will travel to Coastal Carolina for the final two years of their study, adding a unique international perspective to the program. At the opposite end of the state lies Greenville, the largest city in the Upstate. Long a centre of the textile industry, Greenville is now the heart of South Carolina's burgeoning international development. As of December 1996, Greenville County was home to 87 international companies representing 23 different countries. More than 240 international firms call the Upstate home, many of them located along Interstate 85. Greenville's proximity to the mountains offers the visitor many wonderful opportunities to sample the natural beauty of South Carolina. State parks such as Caesar's Head and Table Rock allow visitors to see some of the dramatic granite outcroppings that form the Blue Ridge Mountains. The Jocassee Gorges, a 32,000-acre (13,000-hectare) tract of land recently acquired by the state, contains spectacular waterfalls and is home to rare mountain wildlife. Clemson University, located just one hour away from Greenville in the northwest corner of the state, is a state-supported land grant university. Clemson has long focused on the applied sciences - it is home to three-quarters of the state's engineering students, and its agricultural research programs play an active role in improving South Carolina's farm economy. Columbia, the state capital, forms the heart of the Midlands. Columbia is home to the main campus of the University of South Carolina, which consists of seven other satellite schools located around the state. The president of USC, Dr John Palms, is a native of the Netherlands. USC has long been a leader in international business studies, with both its undergraduate and graduate international business programs placing at or near the top of college rankings in 'US News and World Report'. Approximately 20 percent of students in the Masters in International Business Studies program come from overseas. More students study in Columbia than any other city in the state, and this gives the city a quintessential college atmosphere. On Saturdays in autumn, tens of thousands of sports fans pack Williams-Brice Stadium for a USC football game. Columbia's college population also supports a diverse nightlife. The rock-and-roll group Hootie and the Blowfish first began playing in local Columbia nightclubs, and the band members still maintain residences in Columbia. South Carolina is also home to seven historically black colleges and universities - Claflin College, Morris College, Benedict College, Allen University, Denmark Technical College, Voorhees College and South Carolina State University. These schools have played a vital role throughout South Carolina's history, and have been strong pillars of the state's African-American population. SC State has produced more African-American military officers than any other institution in the United States, and its Transportation Sciences Center is one of only 33 such programs in the nation dedicated to the study of transportation issues. This has been only a sampling of the many programs offered by South Carolina's colleges and universities. Each of the state's 60 public and private institutions has something unique to offer to the international student. For more information about South Carolina and her schools, I urge you to visit the homepage for the South Carolina Commission on Higher Education at www.che400.state.sc.us or the states main website at www.state.sc.us. 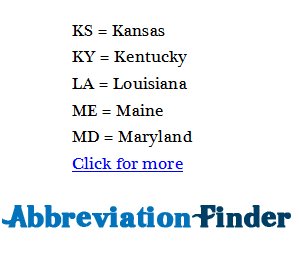 SC stands for South Carolina; for other definitions, please refer to abbreviationfinder.org.